It could be weeks before Nova Scotia Power finishes cleaning up some 5,000 litres of oil that spilled from a leaky pipe at the Tufts Cove generating plant. 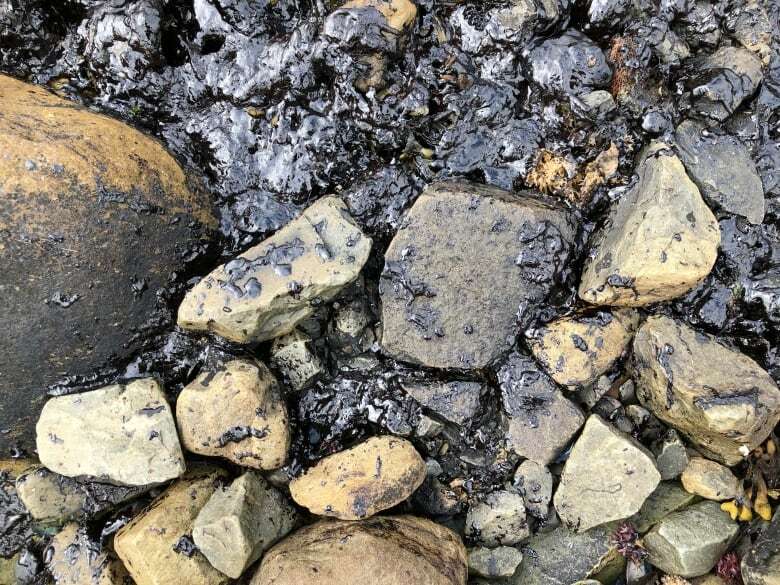 It could be weeks before Nova Scotia Power finishes cleaning up some 5,000 litres of oil that spilled on shore and into the Halifax harbour from a leaky pipe at the utility's Tufts Cove generating plant. The leak was discovered during a routine check Thursday. On Sunday, David Rhodenizer, a spokesperson for the utility, said 60 people have been working on the cleanup through the weekend. . He said an environmental contractor estimated "less than 5,000 litres would have made it to the harbour" and the company expected to have a better assessment of how long the cleanup will take by Tuesday or Wednesday. "For us the bottom line is we're going to work until it's all cleaned up. It's an environmental cleanup of oil contamination so those can last a number of weeks." 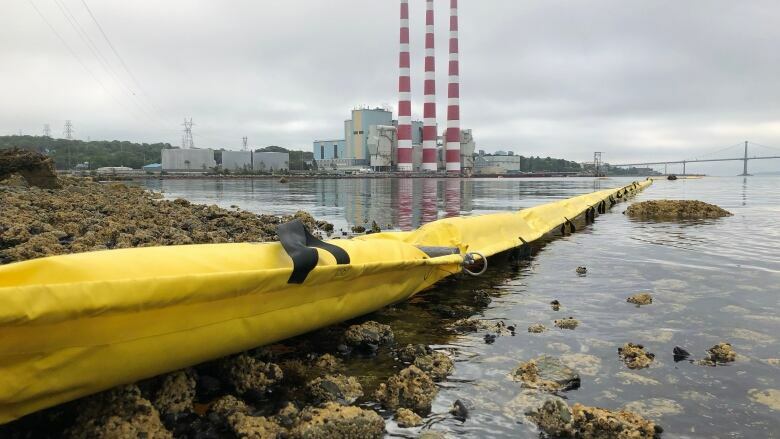 About 95 per cent of the spill was contained by the first boom placed in the water Thursday upon discovery of the leak, according to the contractor, Rhodenizer said. "Subsequent to that, Thursday and Friday we added additional booms out into the harbour to contain the remaining oil." The first priority is to deal with the on-water contamination, Rhodenizer said. "We've have vacuum trucks working on that and oil absorbent materials that they deploy. They're called pom poms and socks and the oil that's on the surface of the water adheres to them and then when we remove those materials, it takes the oil out of the water." But he said there is also contamination of the soil at the site. "The oil came from the pipe and leaked through the soil on the property to the water. So we have the on-land contaminated soil to clean as well." Rocky areas near the shoreline have also been affected. The utility is still investigating how the leak occurred. Rhodenizer said the pipeline is about 11 centimetres in diameter. "It's a pipeline that goes from the on-site oil tank to the plant itself. There was a hole the size of the tip of your thumb that developed in the pipeline." He said NSP is working with some consultants to find out what caused the hole. "Was there something metallurgical​ly wrong with the pipe? Exactly how did that happen, we don't know at this point."